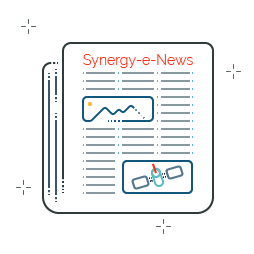 Synergy-e-News provides product and event announcements, technical articles written by Synergex developers and consultants, technical tips from our developer support team, customer success stories, and industry news. Please note that some older links in the newsletters may no longer work. Development projects piling up? Let us help! Your input makes Synergy/DE better! Conference Videos Live on YouTube! Tech Tip: Issue in isutl 10.3.1b – 10.3.3c. How much memory does your sort really want? Don’t pass the buck to the runtime! Is the conference on your radar? Has anyone ever asked you “What is Synergy DBMS and how does it compare to Relational Database Management Systems”? Do you ever wonder why Ace answers his own questions? Do you want to know what issues have been reported or fixed in your version of Synergy/DE? Are you hiring new programmers? Need to train existing programmers on the latest features in Synergy DBL? Got a UI Toolkit application you’d like to modernize? IPv6 is coming! IPv6 is coming! A Sneak Peek at the Synergy DevPartner Conference! The Writing Is on the Wall! Join Our 2016 Calendar Game! Registration is now open for the 2016 Synergy DevPartner Conference! Tech Tip: Did you know you can use the latest and greatest DBMS utilities even when using an older version of Synergy? Save the date for the 30th annual Synergy DevPartner Conference! Get started today with Visual Studio 2015! What’s in it for you when Synergy/DE sim-ships with Visual Studio? Why is that first WCF operation SO slow? Where else can you find so many Synergy/DE developers and experts under one roof? Put the power of Synergy into the palm of your hand. Synergy/DE 10.3 brings native Android, iOS support plus a ton of new features and enhancements! On the road with Synergy-enabled devices. Learn from Rural Computer Consultants’ success with devices and find out how they’re saving customers thousands. Automated Systems, Inc’s SynergyDE-based Insite app helps Currie State Bank compete with the big guys! A Spooktacular eQuiz for the Halloween Whiz. Can you figure it out? TECH TIP: An addition operation involving decimal variables and literals sometimes shows the ^A results with leading zeros. Why? Get a sneak-peek at our new Synergex Resource Center. Give us your input! TECH TIP: Applications in Workbench are unable to find System32 DLLs or EXEs. Why? Synergy/DE 10.3 Beta – Develop for Mono, Android, Plus Synergy DBL Integration for Visual Studio enhancements and More! What Have Synergy/DE Customers Been Asking about This Year? Quiz – Are you up for the Challenge? – Do you pass a Property as the argument to an “out” or “in” parameter? TECH TIP: Which libraries do you need when running Synergy/DE on Linux? I support incremental loading – Windows 8 support for infinite scrolling! Quiz – What’s wrong with this code? – Things to remember when working with the XML parser – instantiate it! Paradise by the dashboard light – A fully functional interactive dashboard written in Synergy.NET! William Mooney Blog: Windows 8 – If I can do it, so can you! Synergex announces KitaroDB – A free NoSQL database for the next generation of applications! Sendig us data so we can help you troubleshoot an issue? STOP! Quiz – Can you pick the code line that will correctly display a Euro symbol? The dreaded Record Lock: It appears without warning, leaves no trace, and instills rage in the innocent users who encounter it! Quiz – Can you figure out this Code question? PSG Blog – Updates on CodeGen, Symphony Framework, Windows 8, and more! Quiz – How well do you know your UI Toolkit routines? TECH TIP: Prompted for a reboot when installing Synergy/DE 9.5.3a – Why? Quiz – Can you determine the output of our sample code? Quiz – Figure out our Printing code results? Quiz – Solve our code question and learn something? Quiz – Test your skills with Classes! Quiz – In honor of St. Patrick’s Day, Is our sample Windows application wearing any Green? Quiz – Can you figure out what our Sample Program’s output? – Working with complex data structures, are you ready? Quiz – How efficient are you with your calculation code? Quiz – How well do you know the RANDM subroutine? Quiz – Don’t get Boxed up with this Quiz? – How well do you know your primitive data types and their boxed equivalents? – Learn how excessively clever code can get you into trouble! CodeExchange – Have you ever wanted to code a Synergy program to transfer files via FTP? – Three good lessons to learn from this programmer’s quiz, learn what they are! Quiz – Do you know your ASCII character codes? – Find out what the Synergy/DE call %CHAR(2764) returns to you! Quiz: Do you really know what the routine %NUMARGS tells you? Quiz: How well do you know Repository Schemas? Quiz: How well do you know your UI Toolkit window coloring calls? Quiz: Can you write a method that returns three different strings? Quiz: Why does our code snippet fail? Opps, gave you the answer or did I? TECH TIP: Application hangs when using a custom destructor. Why? Quiz: Do you fully understand the Synergy/DE USING statement? Quiz: Why does Case-sensitivity affect the outcome of this code snippet? Quiz: Can you create a wrapper with the S_BLD for your own routines passing the same arguments? Quiz: Can you have a Class and a Namespace both with the same name in Synergy/DE? Getting started with Synergy .NET – Itching to kick the tires of Synergy .NET, but not sure where to start? Quiz: Can you figure out what our Mangled text says without running the sample app? – Test your skill with this sample code for a secure encryption algorithm, or at least half of one. Quiz: Can you take the Static out of our sample code and improve it? – Changing a Static method to an Instance methods, what issues does this cause? Quiz: In Synergy/DE, do you know what the operator “//” means? Quiz: Does a Class of Strings have anything to do with a Music class? – Learn how Synergy/DE code converts Objects to strings – explicitly! Quiz: Why is RAD50 called RAD50? Quiz: What type of field can store a numeric value between 0 and 255, inclusive, in a single byte? PSG Blog – Are you keeping up with all of the Tips & Tricks of the PSG Blog? Quiz: Can Strings and Alphanumeric values be used interchangeably? – Find out how. Quiz: What does the message “Signal 11 re-signaled” mean? Quiz: How can you create a “lazy list” in Synergy/DE? Quiz: Can you make your Sequential file sorting more efficient? Quiz: Do you use good Design Principles in your code? TECH TIP: Why is the .NET assembly loading so slowly? Quiz: Did you know you can control the background color of a field when focusing it in UI Toolkit? Quiz: How do you get the current Coordinated Universal Time (UTC)? See what’s been in the news from Synergex.